You can’t wait to walk down the aisle and marry the love of your life. But deep down inside, you’ve always had a special love for Mother Earth, too. The great thing about planning a wedding these days is that you can easily make it the best day of your life while also keeping Mother Earth happy. 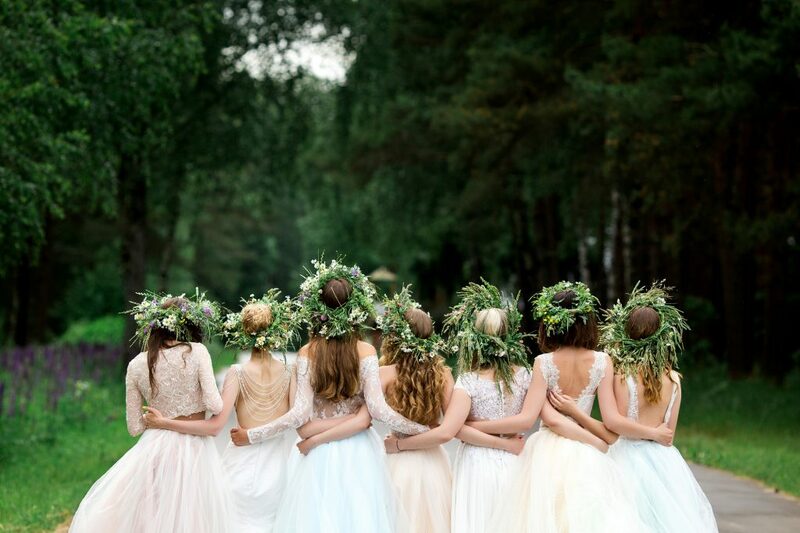 If you’re interested in going green for your big day, you’re in good company. After all, research shows that 55% of people across the globe value eco-friendly offerings so much that they’d be willing to pay premium prices for them. So, how exactly can you pay homage to the planet while simultaneously showing the world how committed you are to your soon-to-be spouse? Here’s a rundown on how to have a green wedding in 2019 and beyond. A major factor in your wedding’s financial and ecological impact will be how large it is. The reality is that every individual you invite to your marital celebration means many more miles traveled, a larger venue, more food eaten and a larger amount of waste in the end. Yes, it’s your party, so you have the right to invite a slew of loved ones and friends to celebrate with you. But it’s a wise idea to watch your numbers so that your guest list doesn’t get too out of hand — for both you and Mother Earth. Every item you rent or purchase for your big day will end up having an environmental impact. So, here are a few things you can do to keep your wedding as green as possible. First, try to encourage your caterers to utilize organic produce. Also, do some research to find out if your dream dress features Earth-friendly materials. Likewise, choose an eco-conscious jeweler that offers wedding rings and engagement rings for women. You may not necessarily be able to establish every one of your products’ suppliers’ green credentials. But simply asking questions regarding their queen practices means you’re already making a huge difference. In addition, whenever you can rent an item — like a tux — rather than buying one, try to do this, as it’ll help you to minimize the resources you use for your wedding. How you and your guests plan to get to your wedding venue is another important consideration if you’re trying to have a green wedding. For starters, you may want to encourage your guests to arrive at your wedding by bike, bus, train or even carpool. You could even offer shuttle buses if your guests are not right in town. This will all help to cut down on pollution, thus positively impacting the planet. In addition, you and your spouse can make a major green statement by riding off into the sunset in an electric car. Taking a picture of your green ride will help to preserve your wedding’s eco-friendly-propaganda value for years to come. Now that you have a green way of getting to your wedding venue, it’s time to get a green venue itself. It’s understandable if you’d like to use a certain mosque, synagogue or church for your wedding ceremony. But if you’re not necessarily tied to a religious institution, why not support a community garden, LEED-certified edifice or even a low-impact farmer? The benefit of supporting a local green project or organization is twofold. First, you can help to generate revenue for your chosen local host. Second, you can increase awareness of the host’s work and show your guests how passionate you are about caring for the planet. Invitations have a way of setting the scene for parties, so it’s critical that they don’t look tacky or cheap. At the same time, though, you do not want your invitations to be non-eco-friendly. Fortunately, you can find an increasing number of suppliers that offer tree-free, recycled or handmade invitations. Some of these suppliers will assemble your invitations for you, whereas others will allow you to save money by assembling the invitations yourself. In addition, if you’d like to break from tradition, you can send electronic wedding invites to family and friends. A mistake that many couples make when wedding planning is thinking that their ceremony needs to be extremely elaborate. The truth is, expensive material decadence that’ll require you to take out a personal loan isn’t all that important. Instead, add some simple personal touches to your wedding to make it stand out — without costing you an arm and a leg. For example, you could ask your guests to bring their own homegrown flowers to include in your floral arrangements. Your guests will enjoy being involved in your wedding in such an eco-friendly way. You could additionally develop your own scrapbook in which relatives and friends can add anecdotes, pictures, drawings, and poems. You’ll like remember this book more than you would a cut-glass chandelier or a chocolate fountain. And it’ll help you to minimize your resource usage, which will no doubt benefit Mother Earth. In addition to offering tips for throwing a green wedding, we offer tips and advice for those who are interested in saving money and managing their finances efficiently after the wedding day. For instance, you can find out how to secure a credit card even if your credit history isn’t the greatest. Or you could learn how to keep the kids busy with holiday activities that won’t break the bank. We even offer guidance for those who are interested in starting their own businesses and thus generating more revenue for their households. Take a peek here to find out more about how you can make your money work better for you in the months and years ahead.